Description: Book is bumped at lightly worn at head and tail of spine as well as fore edge corners. Several stains near the lower edge of the rear board. Just a few spots on the front board. Pages are free of marks and binding is sound. 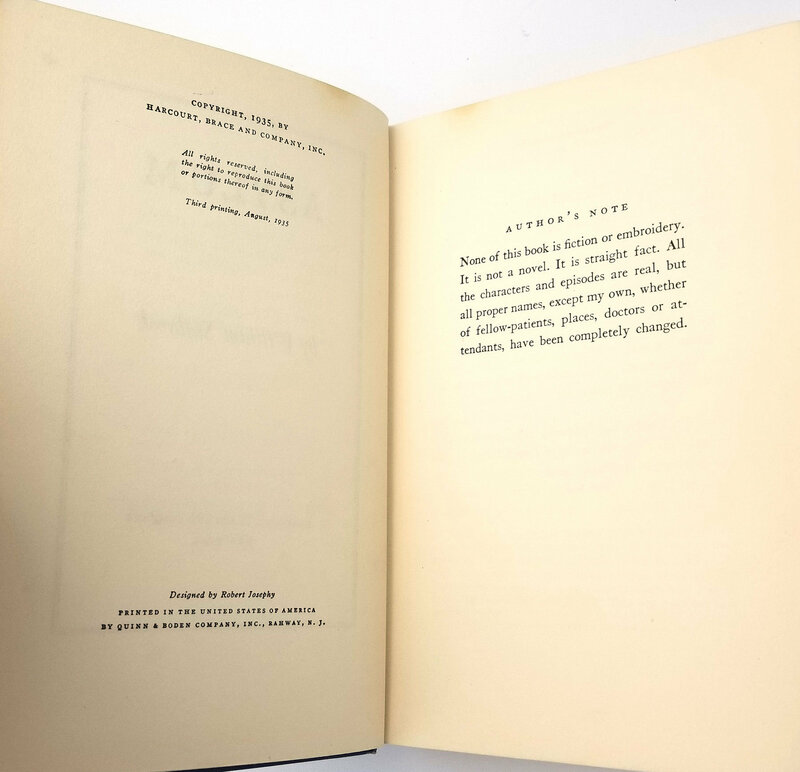 Third printing, August, 1935. 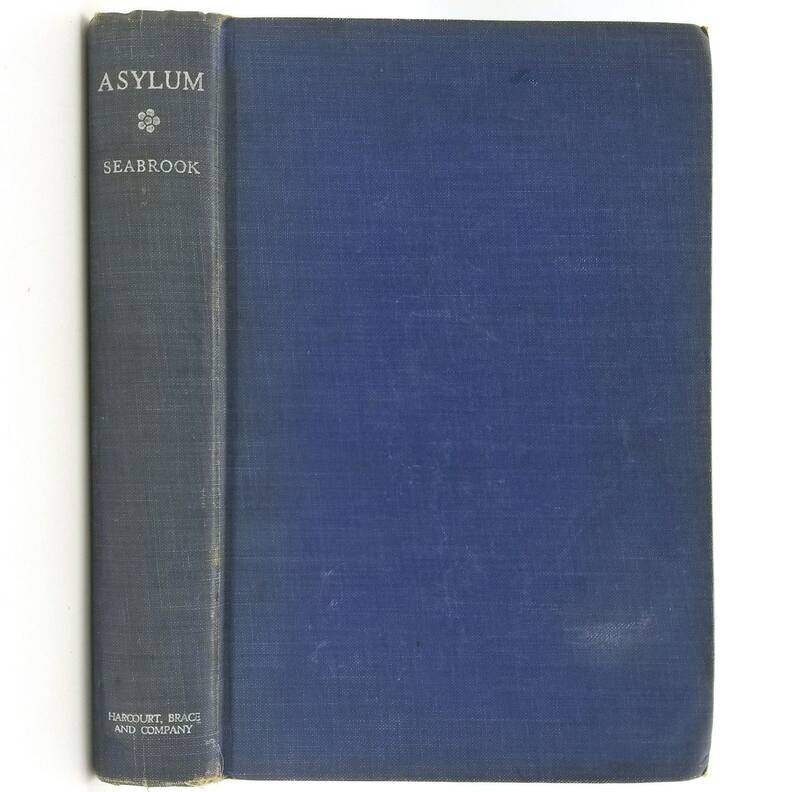 Seabrook (1884-1945), notable American occultist, explorer, traveler, and journalist. 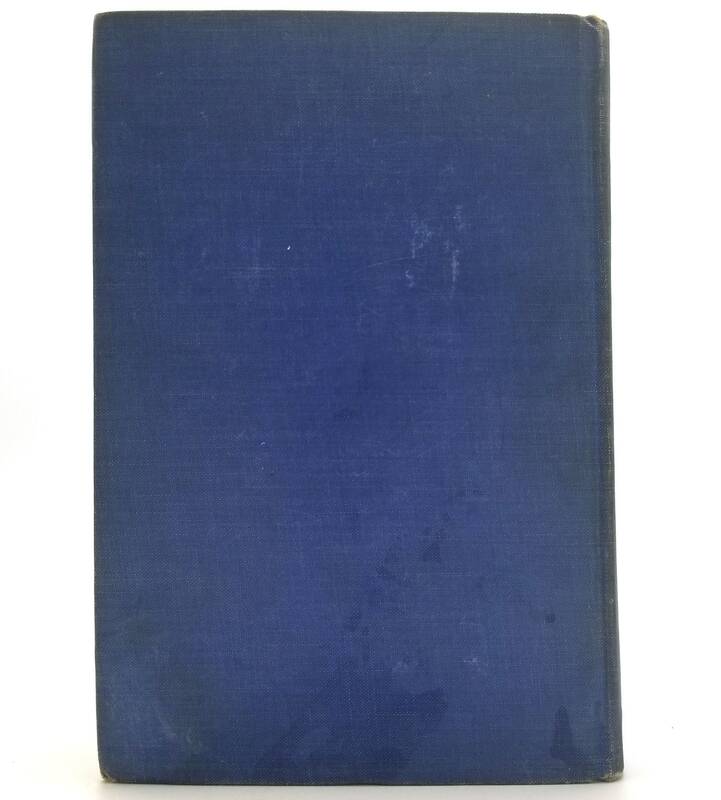 This is a detailed memoir of his eight month stint in a New York state mental hospital in 1933, into which he checked himself for treatment of acute alcoholism. A self-reflective and honest look at addiction and its struggles through his experiences within the mental institution.